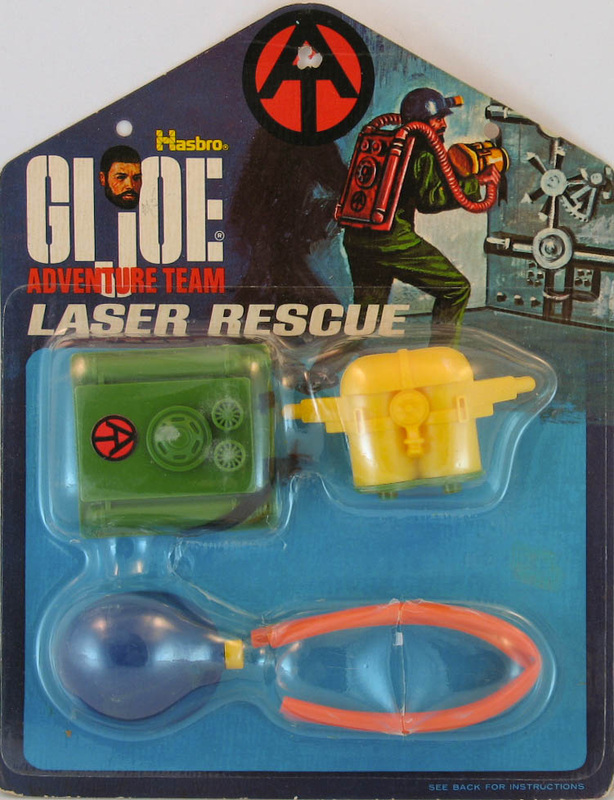 One of the coolest things about Laser Rescue (7311) is seeing how designers modeled accessories using parts of old sets. The backpack pack contains elements of the Astronaut propellant gun and the regulator from the Frogman scuba tanks, while the Laser blaster is made of two old Navy Attack blinker lights with the regulator from the British gas mask mounted between them and half of the small tank from the Marine flame thrower on the back. Gizmology at its finest! Later issue sets used rubbery vinyl straps instead of elastic. Below, the very rare 1975 'orange card' release of the set, courtesy of Joezeta. See his auctions for great items for sale!